Interested in this product? Please enquire below for more information or to get a quote. Alternatively, please see our contact page for more ways to get in touch. Zenith is Rigibore’s completely automated solution to producing micron accurate bores. This fine boring system offers unparalleled savings and a tangible return on investment by reducing labour costs, eliminating scrap and supporting 24 hour production through lights-out manufacturing. Modern CNC machines, regardless of their sophistication, cannot automatically compensate a boring tool's cutting edges. Rigibore’s ActiveEdge tooling in combination with in-process bore measurement has overcome this problem. The Zenith system integrates ActiveEdge tools with in-process gauging to enable a machine controller to automatically compensate for insert wear, temperature changes and material inconsistency without manual intervention and without stopping the manufacturing process. Rigibore refers to this process as closed-loop tool compensation, eliminating scrap and enabling organisations to meet precise tolerances and production targets in a consistent and repeatable manner. Rigibore’s Zenith is a customer specific solution, read the option below that loosely describes your manufacturing requirements. Meet precise tolerances on high value component materials, without the risk of scrapping parts. Accuracy and precision is essential in high value manufacturing operations, scrappage of high value component materials is simply not an option. Rigibore's Zenith solution guarantees precise adjustments. The ActiveEdge tool is integrated with spindle probing to monitor bore sizes and adjust automatically as part of a closed-loop manufacturing operation. The Zenith Two Cut Finish Solution ensures precision performance, automatically conducting a "pre-finish" cut to allow verification of a precision finish bore. This solution delivers 100% confidence to manufacturers in meeting critical tolerances. Rigibore's partnership with metrology experts metrology software products (MSP), a Renishaw associated company ensures accurate probing data to guarantee production of perfect bores in an automated and traceable way. 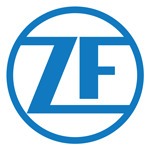 Zenith's performance and repeatability provides tangible and continued savings, reducing machine downtime and removing scrap. This solution provides an instant return on investment, far outweighing the initial cost of investment. Reduce downtime and increase output through lights-out manufacturing whilst meeting precise tolerances. In modern day manufacturing, organisations are under increasing pressure to make continuous productivity improvements, meeting critical lead times required by their customers. 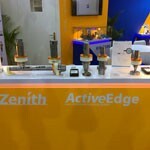 Rigibore’s Zenith solution allows in-process gauging to monitor bore sizes and deliver micron accurate cutting edge compensation to the ActiveEdge tool without removal from the machining envelope. The closed-loop boring system minimises machine downtime, improves process control and allows huge productivity increases through lights-out manufacturing capabilities. Tool wear is an unavoidable part of any boring operation, insert wear, temperature change and material inconsistency can significantly contribute to reduced accuracy and poor finish quality. The Zenith solution allows organisations to accurately compensate for tool wear, significantly improving process control, in particular Cpk performance. Rigibore’s unique macros set an upper and lower warning limit on bore sizes, automatically adjusting as the tool wears to remain within the preset parameters. Significantly narrowing the tolerance band ensures bore sizes remain close to nominal throughout the manufacturing process, adjusting more frequently and with micron accuracy. Rigibore’s Zenith requires no operator intervention, not only removing the risk involved with manual adjustments but allowing productivity benefits through a lights-out manufacturing process. This automated solution guarantees precision performance 24 hours a day, supporting Industry 4.0 manufacturing and meeting critical tolerances without the need for an operator’s presence on site. Running a specialised subprogram which ensures precision accuracy on insert change, removing the requirement for the tool to be removed from the machine. Tool adjustments can be made without the operator entering the machine. Tools are automatically adjusted accurately using measurement data. This automated solution delivers supreme consistency and repeatability, effectively eliminating scrap and rework. Calibrated position sensing of the cutting edge ensures perfect tool sizing. Rigibore will build the tool to suit any requirement. 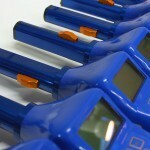 Micron accurate adjustments are made without having to stop the manufacturing process. ActiveEdge system supplied by Rigibore automatically compensates to hold critical bore tolerances on con rod bores. 240 ActiveEdge tools supplied to automatically adjust, holding critical bore size on track links. ActiveEdge system was used to eliminate a high deviation, resulting in considerably lower scrap and rework rates, ultimately reducing the cost to the manufacturer.